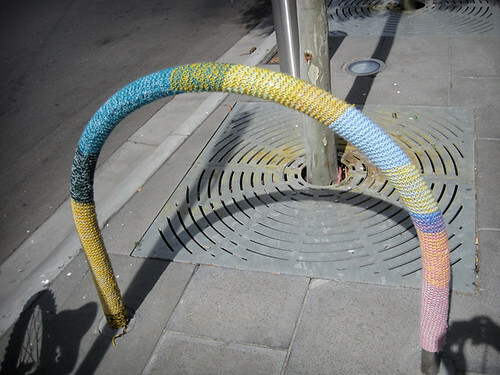 knit graffiti in the centre of footscray. 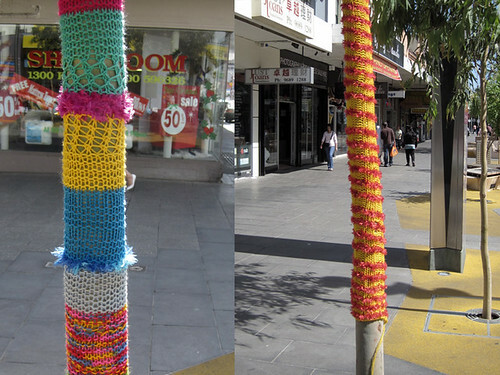 what a way to brighten a dreary spot. 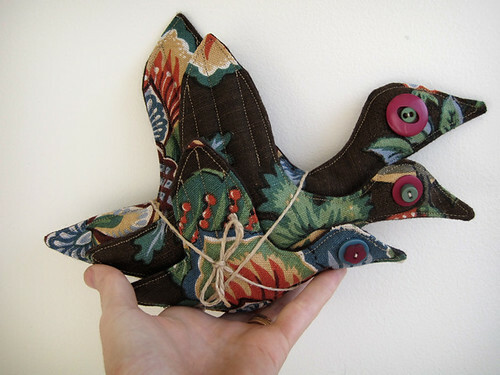 my heart skipped a beat when i saw these fabric flying ducks by Dany Germain of one black sheep. i got most of my shopping done in one hit and had so much fun doing it. i picked up some really adorable things and can't wait to hand them over. if you haven't made it down yet, there's still 2 more markets to go. 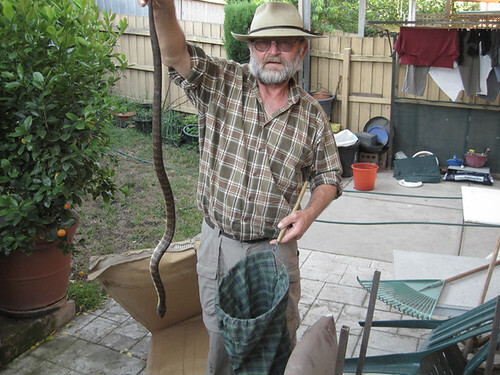 the snake hunter in our neighbour's yard with the tiger snake. i was alarmed to discover a tiger snake living under my bag of potting mix. i do like to make friends with spiders and lizards but poisonous snakes are way out of my comfort zone. we rang the council and minutes later a "snake hunter" arrived. after a rather thrilling trans-backyard chase he finally caught it and took it away- not before making quite a mess though. no more bare feet gardening from now on. 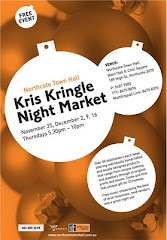 Over 50 stallholders offering individually handcrafted and locally designed products. 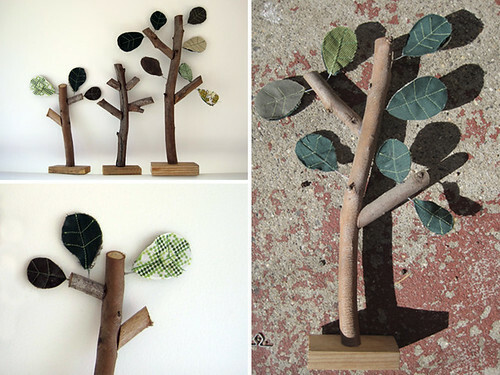 I'm a Melbourne based independent designer. thunder storms, the way milk spirals when you add it to tea, home science experiments, small miracles, falsetto, slow motion replays, bright colour, summer fruits & making lists. all content (c) myf kemp 2010. Powered by Blogger.